Leap Frog and Fuhu are about to get some competition in the “spoiled kids who have better gadgets than self-sufficient adults” category. Archos has just announced the Child Pad, a 7-inch Android tablet for kids powered by Ice Cream Sandwich. The Android 4.0 slate will feature a 1GHz processor and 1GB of RAM. 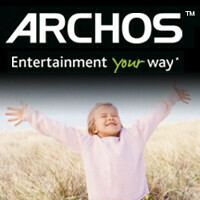 Archos says the Child Pad will also feature “a compact light weight design”. From the image, it appears to sport a rugged plastic bezel to protect it from drops, but, to our pleasant surprise, it looks very appealing considering the target audience. There is no additional information available yet on what type of ports or storage this tablet will have, but on the software side, Ice Cream Sandwich has been modified to sport a colorful, kid-friendly skin, stronger parental controls, and some pre-loaded games. Of course one of the games will be Angry Birds, but if your little one needs to feed their app addiction, the Child Pad will feature AppLibs Kids App Store, which has access to over 10,000 apps including games, entertainment, communication, multimedia, books, comics, and sports. You’ll be able to pick one of these up for your mini-me or yourself at the end of March for $129. What will a child do with a 1 Ghz CPU and 1 GB RAM?????? Play 5 apps at the same time??? It keeps kids entertained as well as learning new things. My kid is 2 and uses my android tablet better than I do most days but even though it is water and shock resistant I use it for work so its a nice alternative for kids to have something that is more close to their parents toys but offer the kids lifestyle. So just because they are kids why does their electronics have to be slow and low memory space. I gotta say, this is awesome! Now I don't have to worry about my 7 and 5 year old playing with my phone and the price isn't bad. a lot less then other tablets.